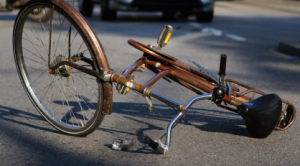 16-Year-Old Bicyclist Killed In Okeechobee Blvd Crash | Schuler, Halvorson, Weisser, Zoeller & Overbeck P.A. A 16-year-old girl has been confirmed dead after a crash involving a car and bicycle in Royal Palm Beach. According to a Palm Beach County Sheriff’s Office report, a 2005 BMW, driven by a 36-year old woman of Royal Palm Beach, was pulling out of a shopping center at 11300 Okeechobee Boulevard when the crash occurred. The 36-year old driver was about to head west on Okeechobee Boulevard when a 16-year-old girl, identified by the Florida Highway Patrol as Yessica Angel-Moreno of Royal Palm Beach, was riding a bicycle nearby. Florida Highway Patrol said, Angel-Moreno was crossing Okeechobee Boulevard, just west of the shopping center, when the driver started to head north. As the BMW was pulling out onto Okeechobee Boulevard, Florida Highway Patrol officials said the girl rode into the path of the vehicle. Florida Highway Patrol said, the 36-year old driver was unable to avoid a collision and struck the girl with his car. Angel-Moreno was not in a crosswalk and did not have any reflective lights on the bike. She was transported to Saint Mary’s Medical Center and had died from her injuries. The 36-year old driver was not hurt.